Event Tickets Plus adds features and functionality onto the core Event Tickets plugin, so you can sell tickets with WooCommerce, Shopp, WP eCommerce, or Easy Digital Downloads. It gives you the power to keep ticket sales contained entirely within your site. This means no more sending buyers to a third-party portal or requiring an outside solution. Tickets have unique QR codes that make checking in your guests a breeze. So much positive feautures like that you can design the ticket box using custom templates or that you have multi-site compatible…Extra product. I’m using this plugin because tickets have unique QR codes. Good! Thanks! 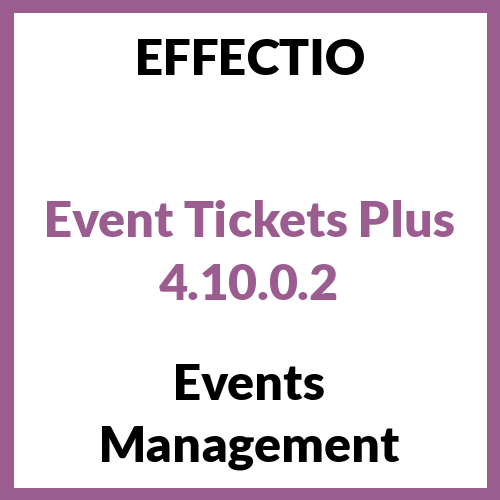 Event Tickets Plus gives you the power to keep ticket sales contained entirely within your site!! If you are trying product with who you can generate reports on a event and design the ticket box using custom templates, pick this! With this plugin you can create all tickets from directly within the WordPress admin.